What is the Difference Between Plants, Fungi & Animals? Eukaryotes are any kind of organisms that have complex cells that include mitochondria, nuclei and other cell parts. The three major cell groups are fungi, plants and animals. Many fungi are only related to plants in a superficial way. They might look somewhat like plants and have cell walls that are similar to plant cell walls, but there is a phrenology tree that shows how fungi can be more closely related to animals than plants. Because animals are closer in evolutionary history to fungi than plants, it could be said that a mushroom is closer "kin" to a human than to vegetables on a salad bar. 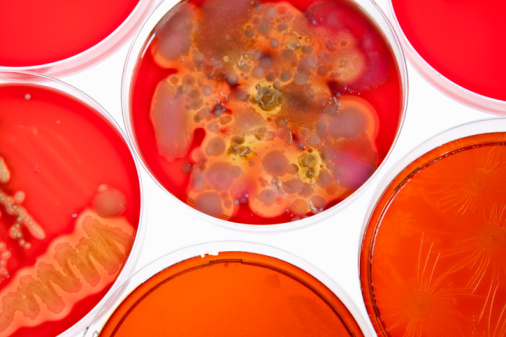 The protein sequences of fungi are more similar to animals than plants. For instance, cellular slime mold protein looks more like animal protein than plant protein. The length of the ribosomes in fungi show an amino acid that is similar to muscle. In fact, there are several amino acid sequences that are similar to heavy-chain proteins in mammals. One of these amino acids is 81 percent identical to a human amino acid. 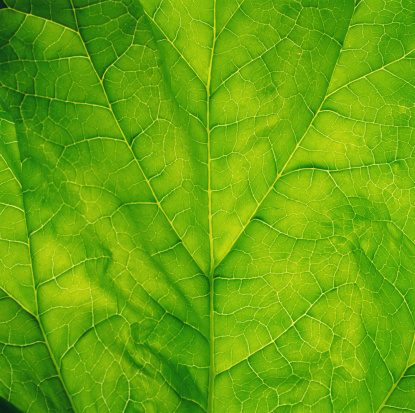 Plant cellulose is different than fungal cellulose. When X-rayed, plant cellulose is more crystalline than fungal cellulose. Both fungi and animals do not contain chloroblasts, which means that neither fungi nor animals can process photosynthesis. Chlorophyll makes plants green and provides plant nutrition. In contrast, fungi absorb nutrients from decomposing plant material through an enzymatic process, and animals ingest their food. Fungi and animals both contain a polysaccharide molecule called chitin that plants do not share. Chitin is a complex carbohydrate used as a structural component. Fungi use chitin as the structural element in the cell walls. In animals, chitin is contained in the exoskeleton of insects and in the beaks of mollusks. Chitin functions similarly to plant cellulose, but chitin is stronger. Studies done on fungi polysaccharides showed that adding alkali containing nitrogen destroyed fungi and produced acetic acid. These chemical reactions did not occur in plant polysaccharides. Algae are the simplest and most primitive plants. In 1955, Dr. George W. Martin concluded that fungi were derived from algae which had lost chlorophyll. However, Martin's hypothesis did not consider that atmospheric conditions might have been different when life began than what they were in 1955. Also, Martin did not take into consideration that nitrogen-fixing bacteria could have existed even before plants evolved, which could have been used as a food source for the fungi. In 1966, Dr. A.S. Sussman observed that while fungi looked superficially like algae, there were aspects of fungi, such as cell nuclei and organization, that could not be explained. Some biologists have cited that animal and fungal sterols are different, therefore, fungi cannot be similar to animals. Animals produce cholesterol, while fungi produce ergosterol. Upon closer examination, both fungal and animal sterols contain lanosterol, while phytosterols in green plants contain cycloartenol. Perhaps fungi are neither derived from plants nor single-celled animals. Some biologist have argued that fungi are phylogenetically distinct from all other eukaryotes. Fungi appear to be unique in the fact that they alone require a translation elongation factor called EF-3. There are some protein activities that are essential for in vivo translation elongation. Donna Earnest-Pravel holds a Bachelor's degree in music education from the University of Houston. She has more than 25 years' experience in education, midwifery and alternative health care. Her portfolio as a freelance writer includes clips from "The Teaching Home" and "Texas Home School Coalition" magazines, online health forums and Demand Studios. What Is a Carbohydrate Found in a Cell Wall of Plant Cells?